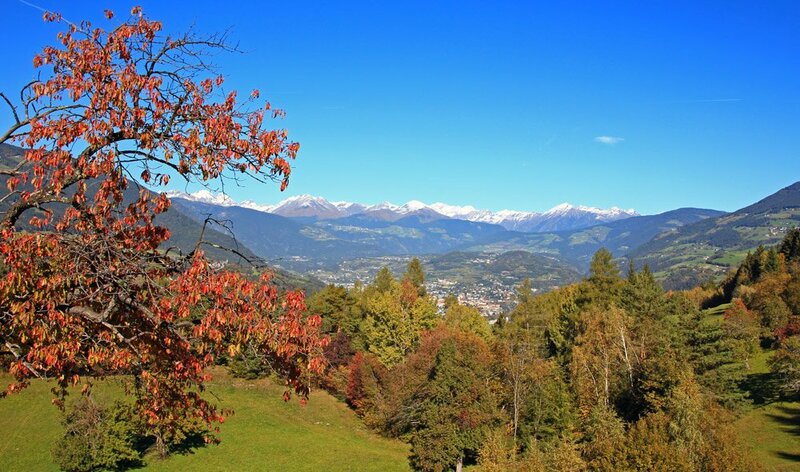 Your autumn holiday in South Tyrol promises with the dream landscape and the widely known “Törggelen” a true symphony of sensory impressions. The fantastic autumnal colouring caresses the eyes, regional delicacies along with fresh apple juice and young wine delight the palate, while autumnal festivals are providing music and dancing. When you look out of the windows of the Summererhof, you see an incredible view. The perfect motives for photographers appear, when the autumnal red and yellow of the chestnut and larch trees contrast with the luminous white of the mountain tops. Furthermore this is the time with the freshest mountain air and the best visibility conditions! 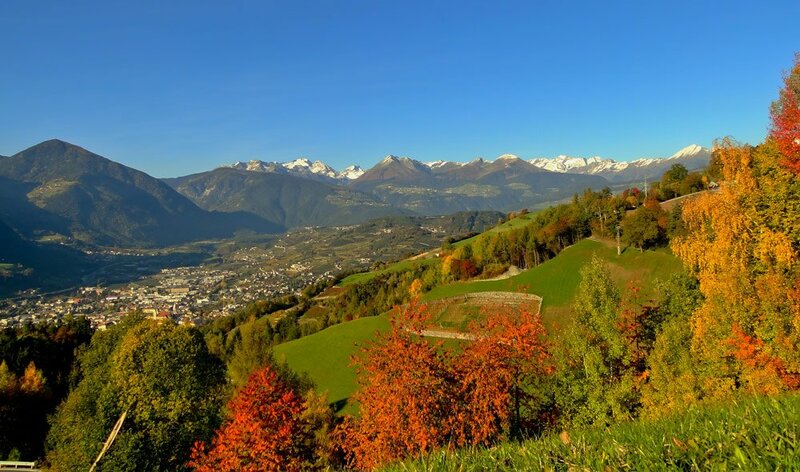 Don’t miss the chance of the Törggelen-Hikes and enjoy fresh delicacies of South Tyrol in it’s numerous restaurants and taverns. Because of the mild temperatures in South Tyrol it is possible to enjoy the evenings outside until October. The stars of the autumnal South Tyrol are, beyond dispute, the delicious organic apples. 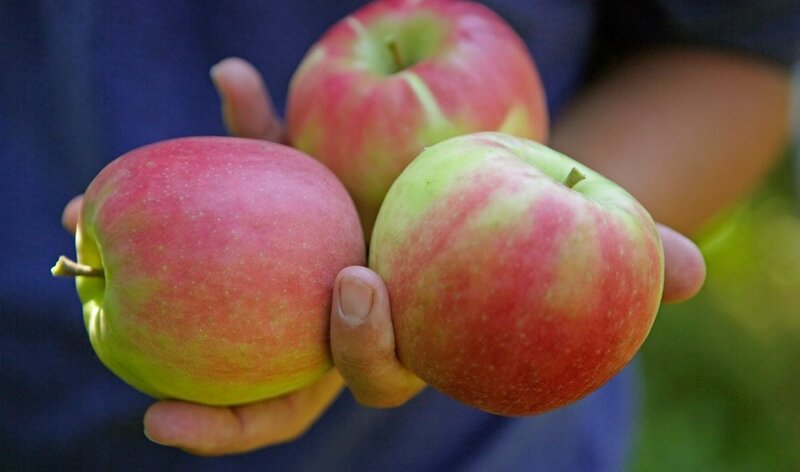 Millions of apples are harvested in Eisack Valley and its surroundings around September and October, and used for fantastic dishes and juices. Baked specialties made with chestnuts harmonise perfectly with them as well as with the first wine of the year.